Here's your chance to live in the amazing GATED Val Vista Classic community in prime Gilbert location! 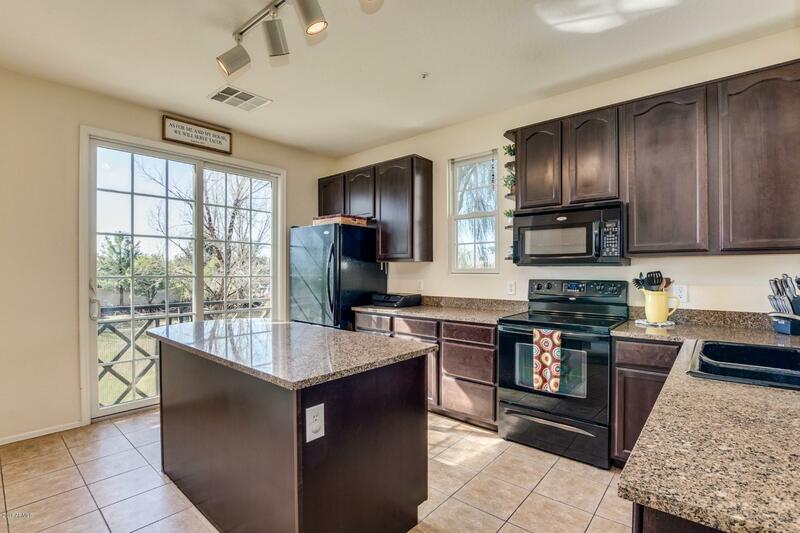 Beautiful 3 bedroom, 2.5 bath 2051 sqft condo with one of the best lots. This is a PREMIUM SECLUDED LOT with a large grassy park & basketball court directly outside the front door. This home offers GRANITE counter tops, upgraded flooring downstairs, tons of storage, charming archways, and an ABUNDANCE OF NATURAL LIGHT. You will enjoy the resort like amenities including multiple lakes, walking trails, pools, spa, and basketball courts. All near the San Tan Mall, 202 Freeway, restaurants, and shopping. Hurry before it's gone!